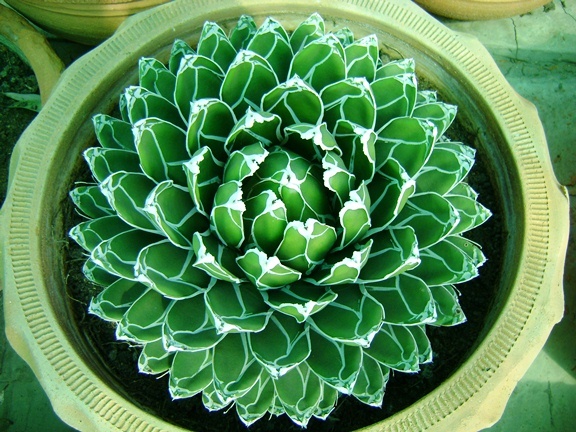 My love for succulents especially Agaves in not old but it is for sure obsessive. 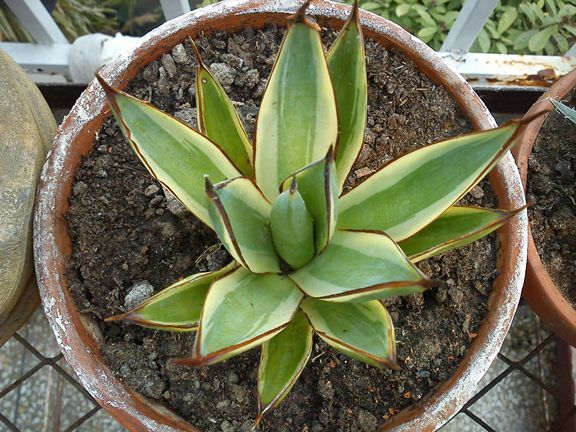 In fact, I have replaced many other plants in my collection with Agaves. 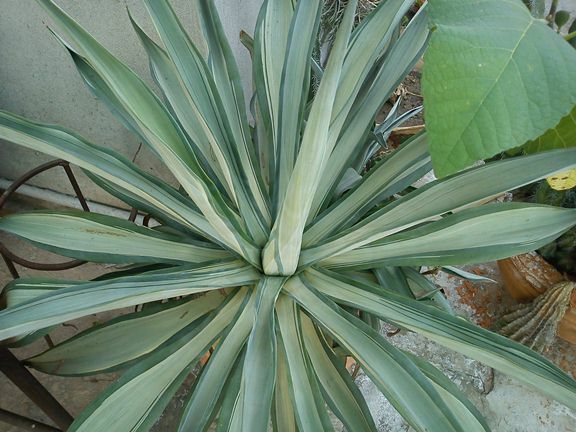 The following are some of the Agaves in my succulent garden. 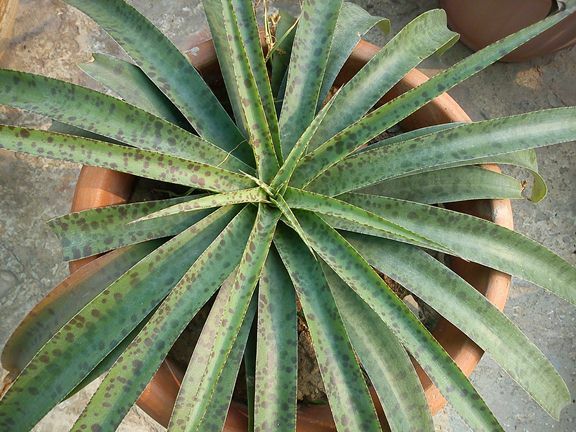 My favorite plant – Agave victoria reginae is slow but easy to grow plant characterized by a unique leaf pattern and formation. This variegated variety is even more beautiful and unique than its original form. 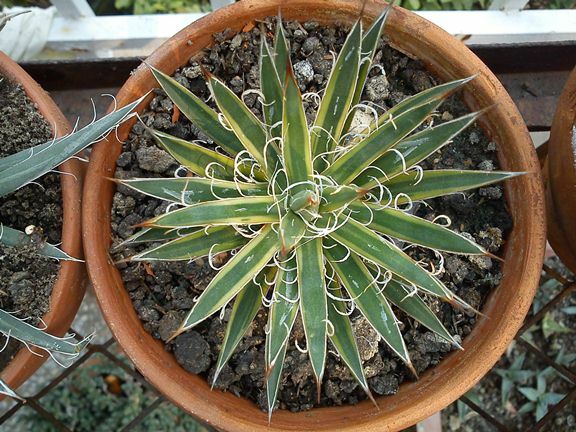 A very different formation and leaf style for an Agave. 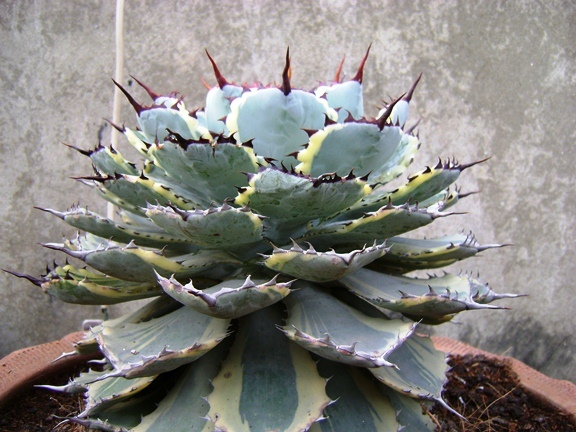 Agave bracteosa has ‘softer’ and spineless leaves – quite different from its cousins. Another beautiful and unique form. 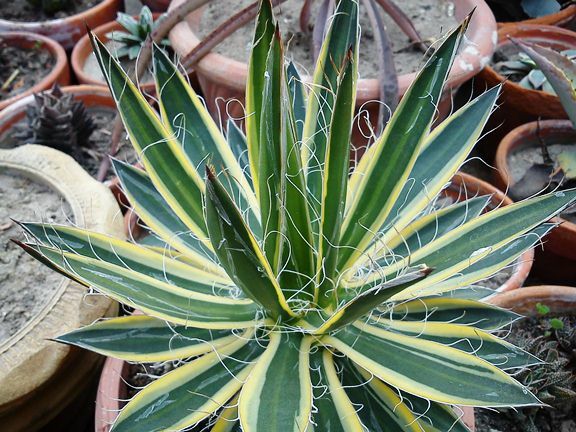 Agave striata produces long, needle-like leaves of greyish green color. 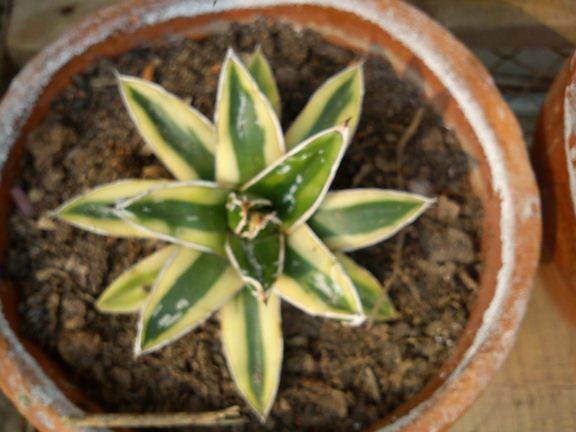 Another beautiful Agave with bicolor leaves beautified by red spines. 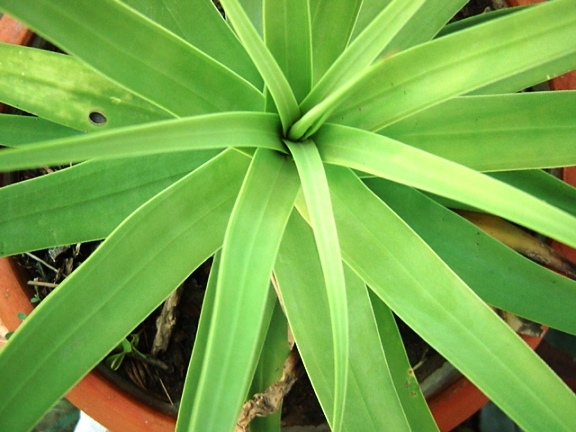 Somewhat similar to Agave victoria reginae but with different style and formation of leaves. 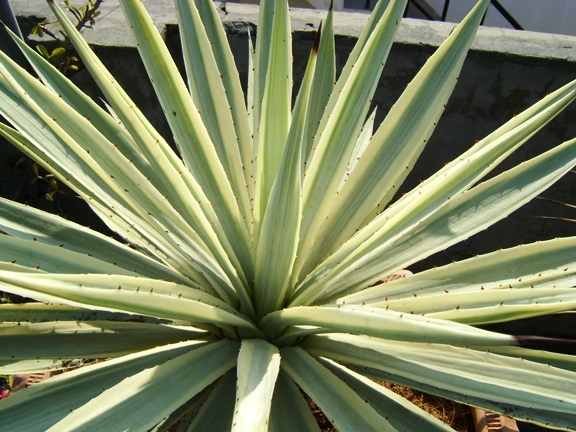 A variegated variety closely resembling Agave filifera. 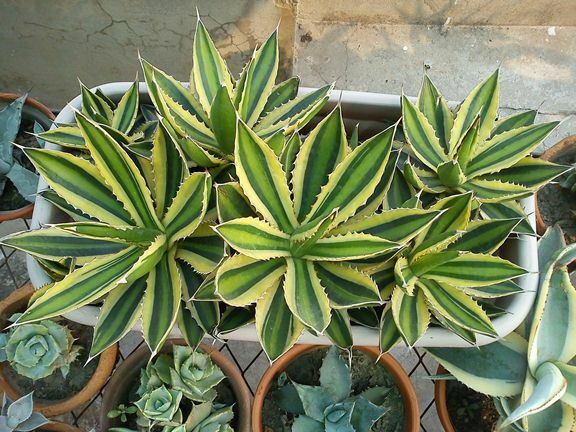 Pretty rare plant – Also known as Sun Glow, this beautiful plant is a variegated form of Agave Blue Glow. 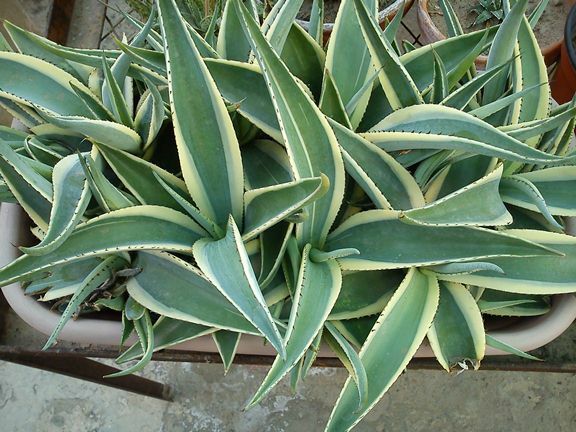 A nice plant for landscaping/ xeriscaping – fast growing and easy to maintain. 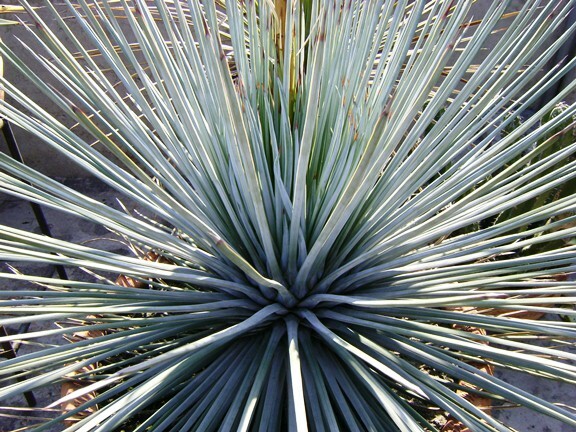 A clump of Agave guiengola ‘Creme Brulee’. A delicate yet fast growing plant. Good for containers. 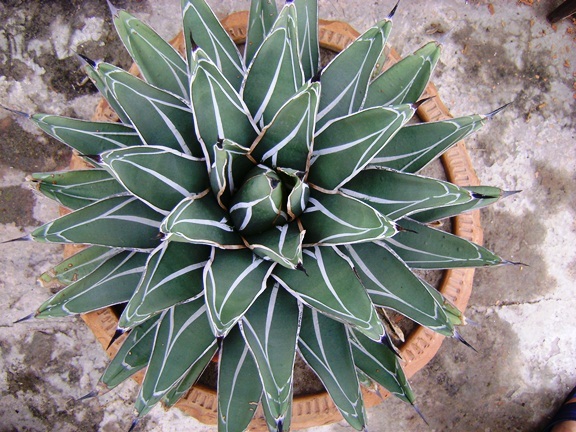 Unique and attractive, it is believes to be a cross of Manfreda and Agave, that is why it is also described as Mangave. 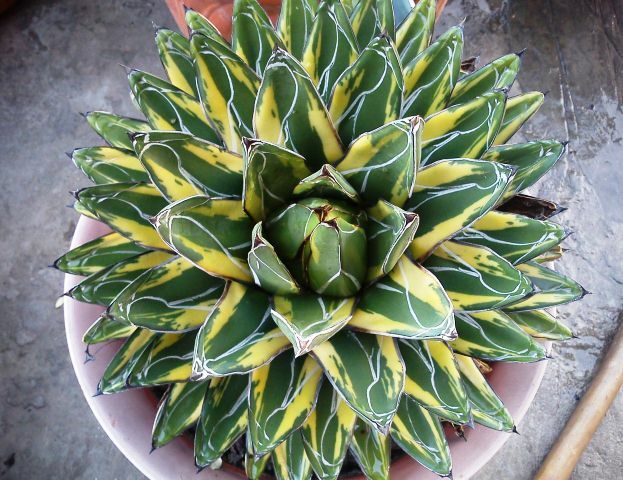 Another beautiful variety of Agave victoria reginae. ‘Kazo Bana‘ is quite rare and elegant plant. As the name suggests, this is a colorful and beautiful plant. Ideal for both container gardening as well as landscaping. The name – Shira ito no Ohi – is quite difficult to pronounce and so is the maintenance of the plant.